Syrian President Bashar al-Assad said Thursday that any attempts to re-escalate the situation in the war-ridden country by Western powers will be prevented by Syria, Russia and Iran. 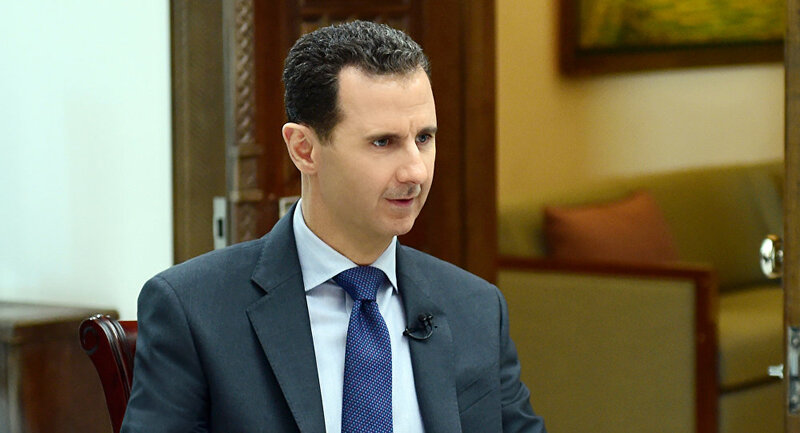 MOSCOW (Sputnik) — Any attempts to violate the de-escalation agreement in Syria will be countered by the Syrian army, Russian forces and Iran, with support of Hezbollah, Syrian President Bashar Assad said in an interview with BELARUS’ ONT channel on Thursday. "Any escalation will fail, because the Syrian and Russian forces, with the Iranian support, and with support from Hezbollah, will strike any move on the part of the terrorists if they attempt to violate this agreement," Assad said in the interview, translated and quoted by state SANA news agency. He also pointed out that the four de-escalation zones in Syria are aimed not only at protecting the civilians but at giving the militants a chance to surrender arms in return for amnesty. "The objective is in the first place to protect the civilians in these areas. The second objective is to give the interested rebels an opportunity to reconcile themselves with the state, like what happened in other areas," Assad said.